In the annals of unintended consequences, the beleaguered car wash industry of New York provides a bleak look at what happens when politicians step in and interfere with an industry they do not understand. It is an industry that traditionally employed low-skilled, mostly immigrant, workers. So it was natural that the successful campaign to unionize the industry was in part driven by idealism. 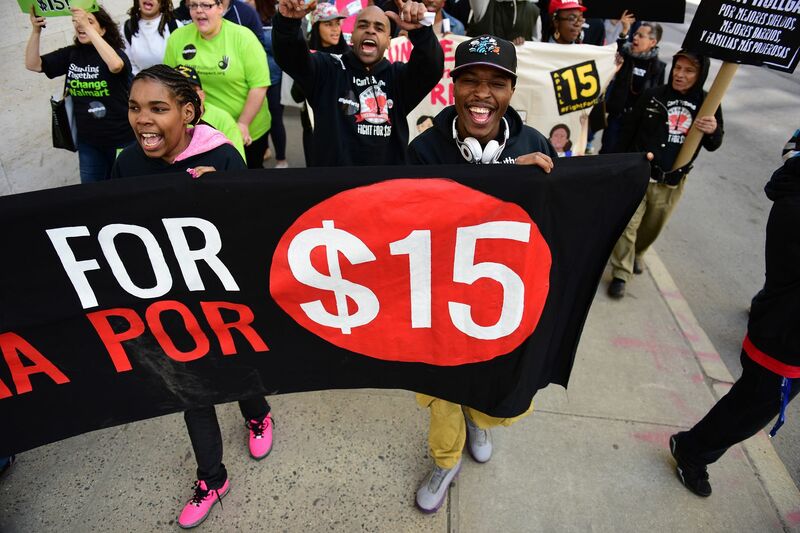 Moreover, working conditions in the industry are such that they were often invoked during New York's also successful campaign to raise the minimum wage to $15 (which will take full effect in the car wash industry in 2019). But now that the industry is unionized and the minimum wage hike is beginning to take effect, things are better for the workers who are directly affected by these measures, right? Two years later, there are more unintended consequences. The $15 minimum wage is fostering a growing black market—workers increasingly have no choice but to ply their trade out of illegal vans parked on the street, because the minimum wage has made it illegal for anyone to hire them at the market rate. The minimum wage is also cartelizing the industry: Businesses that have chosen to automate are benefiting from the $15 wage floor because outlawing cheap labor makes it harder for new competitors to undercut them on price and service. The truth is that from the very beginning, nothing about the car wash campaign has gone as planned. After six years, organizers have unionized 11 businesses, or about four percent of the city's registered car washes. Two of them have since closed down, and the union withdrew at three more because of a lack of support from the workers. There are just six unionized shops remaining, or about two percent of the city's registered car washes. Reason interviewed the owner of a car wash shop that catered to people who had expensive cars and intensely cared about the quality of the work--the carriage trade, you might say. The $15 minimum wage simply wasn't feasible and so the owner spent $200,000 installing automated equipment. He was forced to lay off eight employees. But now the jobs of the remaining eight workers are threatened--again by public policy. In the past, the state allowed an employer to count a portion of the tips earned by workers towards the minimum wage. New York is considering changing this. If so, the eight workers will have to be let go. Their new minimum wage: $0. In a similar vein, a mandatory hike to $15 for tipped workers in Washington, D.C., was presented as a humanitarian move. But the actual tipped workers revolted and mounted a campaign to explain that they could make more money and that restaurants were more likely to remain solvent under the old system. The DC City Council voted to repeal the hike for tipped workers (it must vote a second time) and many of the city's tipped workers are hopeful that they have dodged a bullet.